District 1 Supervisor Sandra Lee Fewer is convening a group of neighbors on Saturday to count the number of long-vacant retail storefronts in the Richmond district. The census is the next move in Fewer's campaign--detailed this week in the Richmond Review--to log and register commercial vacancies. Under the terms of an ordinance passed by the Board of Supervisors four years ago, the city has the power to register and levy fines against landlords with terminal commercial vacancies. Storefronts that have been vacant for a month must be registered with the Department of Building Inspection. Owners are charged an annual fee of $711 for ongoing vacancies and can be fined as much as $6,399 for failing to register. But in the years since it was passed, the Department of Building Inspection has left the ordinance largely unenforced--there's no current process in place for registering and tracking vacancies. Meanwhile, skyrocketing rents and high turnover in the avenues mean storefronts are lingering vacant for months and years with no end in sight. 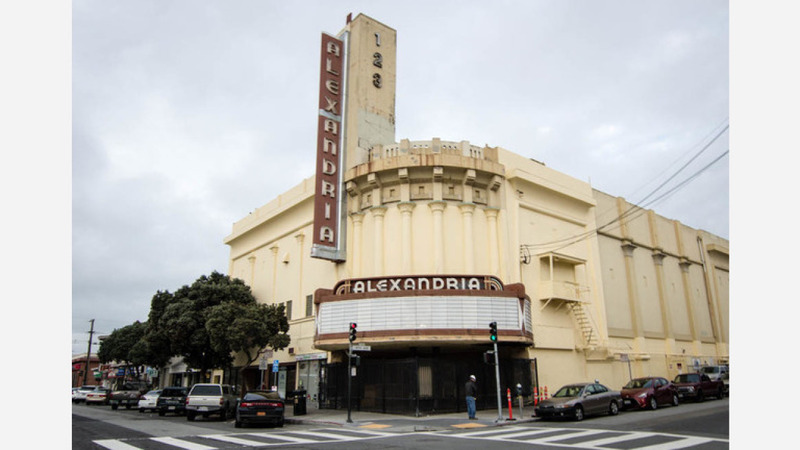 The Alexandria Theater on Geary Blvd., pictured above, has been vacant for nearly a decade and a half. Fewer's effort is intended to help the city put pressure on landlords to occupy their properties, and keep the Richmond vibrant and unblighted. Residents who are interested in contributing data to Fewer's count but can't make the Saturday event may also submit information on vacancies online through this form.